New Year 1927 in Beaufort. 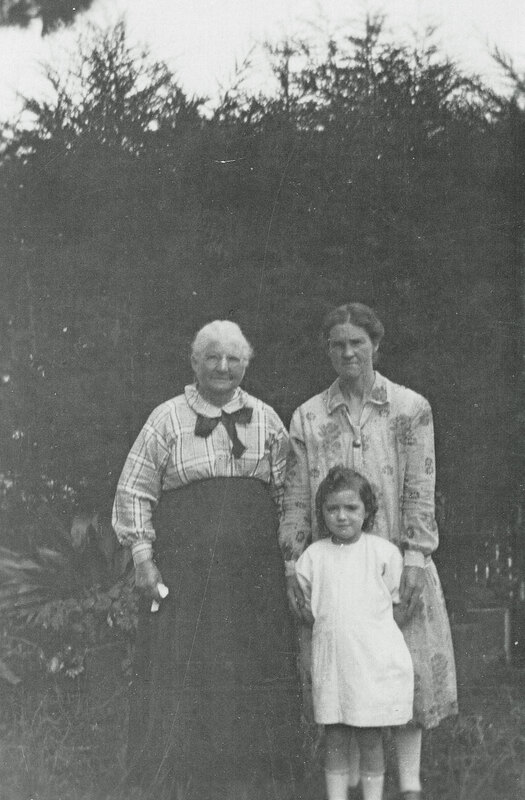 Grandma Elizabeth Ann Stewart (nee Ball), Jane Duncan and young Rene Duncan. From the author’s collection. Copyright Andrew Palmer.